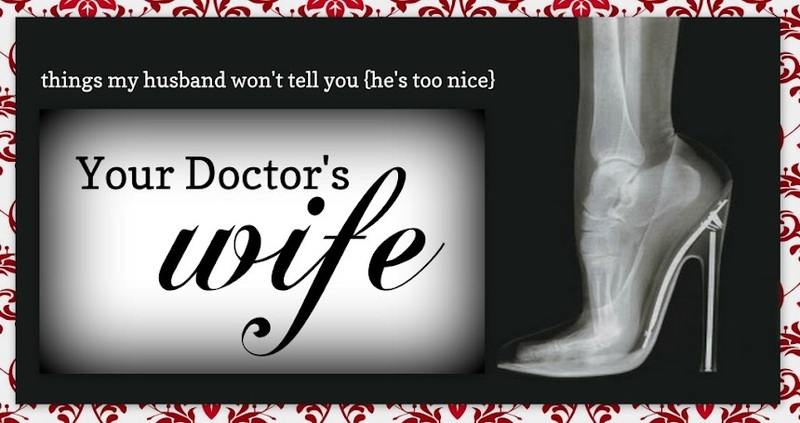 Your Doctor's Wife: The Blonde Experiment: Who Won The Bet? I've gone through the change already (I'm not talking menopause, please, I pray I have a few more years before that misery), and now, Cindy and I have our bet to settle. Although, it's not so cut and dry who won the buck. I was filled with excitement as I waited for Doc H to return home after his long day at the hospital. As soon as he came through the door, I ran to greet him at the door following our dog's lead. I gave him a kiss and looked him in the eye to make sure he got a good look at me. He continued on to complete his "I just got home" routine: "hi" to what ever kids are home at the moment, keys on the counter, a quick rifle through the day's mail, upstairs to change. I continued cooking dinner. He came downstairs and joined me in the kitchen. Time just ticked away. Tick. Tock. Tick. Tock. Tick. Tock. His inner-ID must have been screaming the warning, "NO NOOKIE ALERT! NO NOOKIE ALERT!" at him, because Doc H poured me a glass of wine as if he knew he would need to dull my senses a tad. I drank the glass plus some. Doc H: (Now he's giving my hair a good look) Did you? (He's a little panicked now, he knows he's a little weak in the 'notice the wifey's hair' department). Did you get your hair cut? Doc H: You did. You got your hair cut. Me: That's it? ...I went blonde! Doc H: Well, you didn't have to lie about it! Me: I lied?! I didn't lie! Doc H: You didn't tell me when I asked. I ask you... who won the buck? I agree with you! And I did think it was funny. Thank goodness I have a sense of humor, otherwise it would've been the doghouse for him! Tell Doc H he let me down! I don't think guys notice anything different at all. When My husband knows I have a hair appointment, the first thing he says when I walk through the door is, "Hi Sweetie, your hair looks great!" I don't think he even had a chance to look up from the TV before saying it and it's a "cover all your bases" type of comment. I think Cindy won the bet. OOooooo! You married a smart one. He nips any chance of discord in the bud! Me: Oh you look handsome. Me: Did you loose weight? Me: Good for you! Yeah you look different. Doc: Yeah they went a little shorted this time. Me: OH you had a hair cut!!! I knew something was different! Doc: Seriously? You are so oblivious. Me: What I haven't seen you in daylight for 2 weeks. BTW keep up the trauma rotation diet. Haha- I dyed my hair blond this week and my husband was like, something is different! Men!